Robert Long of Miller Place is missing after failing to return home from a trip to the store. The 62-year-old was least seen on December 22 in the village driving a 2007 off-white Chrysler PT Cruiser, license plate EEH4237, with a large "Support the Troops" yellow ribbon decal on the back of the car. Long, husband of Joanne, is six feet tall, weighs 270 pounds and has brown hair and blue eyes. Anyone who has seen Long or has information regarding his whereabouts should call the Suffolk County Police Department at 631-852-6000 and ask for the Missing Persons Division. 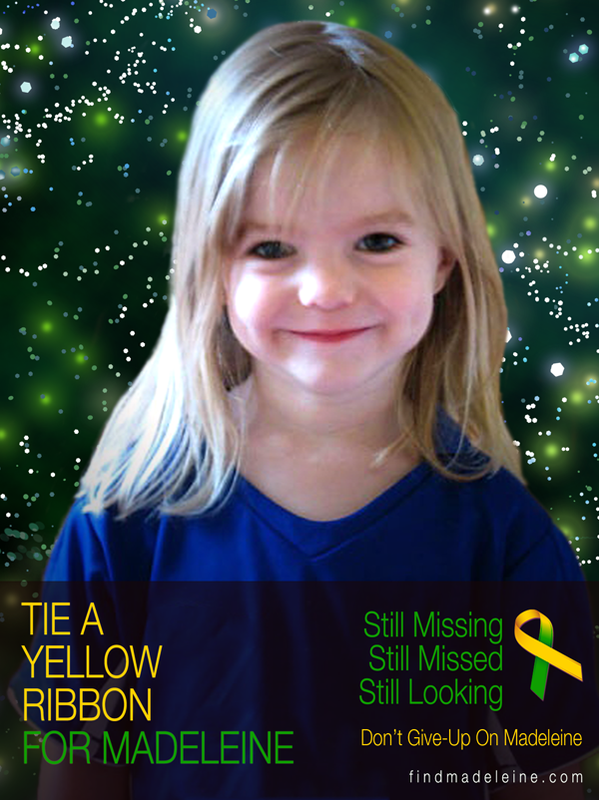 There is a reward for any information that leads to Long's recovery. I have been asked to take a look at tarot for Robert Long who disappeared on 22nd December 2010. Tarot can sometimes give us glimpses into what may have happened and provide descriptions of location and when a person might be found. Tarot is never 100 per cent accurate but I do my best to give what I see. Please always look to other factual references for validated information. Please note Tarot is past present and future events and I am not able to decide which piece of information slots into which category. Therefore background and current information can be mixed as well as for future. My first card for Robert is this King of Wands. Im getting something unplanned and impromptu about Roberts disappearance and a strong impulsiveness attached to it. Im seeing some kind of disagreement here and very much a hasty situation. I am Robert could have been in a situation where he had to do something he might not have wanted to. Whether that was a decision of his own or by another at the moment I am not quite clear. I am seeing reckless driving in the run up here, maybe something wrong with a car and also perhaps a younger man might come into the picture. If this is the case, the person would be under 35 and Im getting a violent streak coming into the reading. I also have something about someone who is horribly spoilt or wants their own way all the time that could be a female. I think Im picking up arguments here between Robert a younger male and an older female. I will just write the things that come to me and I am sensing fire or something hot or getting overheated or something to do with a car. I am feeling almost as though there is a challenge on the road with a vehicle. Vehicle driving fast. I also have something about get rich schemes so I dont know if someone thought Robert had some money on him and wanted to take advantage of that. I just feel that there is a tongue tied feeling to the King of Wands almost as though the person cannot speak or say anything. At the moment I am not sure whether this is past situation or current. Normally Wand Cards show someone in the SOUTH when it is reversed its possible they are heading North. It sometimes depends on the direction they are starting out on. With that King upside down I keep wondering if he might have had difficulty on the road with his car because he might have been 'unseated'. So it seems to me something has happened on his journey whilst in his car rather than out of it its even possible the car is damaged or he could have had a mishap either mechanically or otherwise in it. I just seem to think the car comes into the picture rather strongly and he is away from home at the time because Cancer sits with this card and it is reversed. Perhaps even a disagreement on the road or his car was hit. I cannot be quite sure here. I think its possible his car was brought to a halt. Im getting someone who is being impatient, intolerant and self righteous. This is making me feel that something happened on the journey and could include another driver and disagreements are there or there were disagreements with possibly a male and female as previously described that led to an impulsive situation. I can vaguely see someone who hurt their head? or possibly has had concussion. Im feeling there is something or someone that is manipulating matters here and there is some possible disagreement about money or something of that nature. This card shows an East direction with a scene near a river bank or place near a river and Im being given a night time or Winter feel with this card. I do not think this card is particularly nice. The scene could describe a road or place that has water in the name, creeks also come to mind. I see problems with the head and the back in this card - neurological nerves disturbed. This is not good card for health matters in general. However, I have a Hill name or description in this card. Airports can come up as can golf courses and sometimes even guns or swords meaning knivers. Not necessarily so, but I give all the possibilities. Also I would suggest something on the ground perhaps a tool or something of that nature as I cannot describe what it is, but might be metal. I see that the direction still shows me East but somehow looking West and I see a problem to the head again. I would need to look again to try to establish further links to location. Tarot cannot name locations only give descriptions so East is what I have in particular. I see Robert lying down at the current time. I also see a piece of paper, or something he had with him, it could even be ID or something I cannot say what it is as I am not sure. I am seeing the banks of a river. I will have to look at a map to see if anything stands out to me. Ten might be a distance, route or have some significance in location. I think he must have gone somewhere there is an inlet of water in this location as it seems to show us that river again in the 10 of swords. I feel as though Robert was coming back from the store because I see him outside of shops at some point??? I could be wrong but Im winding back to the 7 of swords and something does,nt quite gel there for me. I feel Robert was hurt I would hope it was mentally rather than emotionally but I seem to see some kind of problems in the mind and there was cross words and seperation. I also kept thinking 'heart attack' when I saw the Queen of Wands. I would have thought that if Robert had a problem in his car that police would have picked him up so Im not sure what to think at the moment. We had a North direction in the first card so maybe North East could be a gamble and look for the water elements perhaps either actual or in a name of a road or place? I have mentioned travel with the car and Airports but we might have to include trains also. It is the travel element that stands strong with me so train tracks, airports may all be part of an area of location as well as the other indications here. I either see a seperation or possible 'divorce'? this seems to show up and arguments and perhaps a female who is really strong natured and wants appreciation and without it there seems to be a judgemental or bitter attitude. I dont know how it all comes together but seems to me that Robert had relationship problems or someone did. I am also seeing something about a double element here, the word Twin is coming up and it appears to be near the family home so I would add that into possible clues for location. Asking when Robert will be found, note I have the Chariot here and Im thinking he is linked to a vehicle/travel somewhere out of town and I have the number 7 . That could be a period of time though Im not quite sure whether I could say weeks months or years. However, he WILL be found. Im seeing two paths with this or a junction of two roads that meet up with one road. I also think it could be July but again I cant say for sure whether its this year or not as the chariot does,nt seem to tell me that. I keep picking up European Countries for Robert so I dont know if he has ever lived abroad but it does seem to come up but might be white noise or background information somewhere. Water fence and field all come up here too as well as vehicle how that is I am not sure. April is a strong month for clues. I cannot guarantee all that I have given but hope some of it does help to locate Robert. I was looking at Roberts Tarot and realised I did not expand on this. I thought it might be useful to put up some type of locational connections that might be associated with Robert or anyone connected to him at any time and also the principle directions that seemed to stand out. I have Robert connected with 'travel' ultimately and possibly tarpaulin or some kind of 'canopy'. The Chariot gives me the sense of an enclosed environment or metal surrounds which does feel like a car or something metal?. Water Stones rocks, 'fence' enclosures, fields can come up and I did think of Stony Brook, Old Field and perhaps areas around Mt Sinai Harbour but again location can never be guaranteed with a name. Cancer not only points to water areas but it can actually point to a field near home or near the home. Of course the directions could also be the names of places too so its rather difficult but I hope something below helps and it is taken from the original Tarot reading. Opulent public buildings such as theatre public/monuments, public halls, auditoriums, parks; palaces, castles, forts. Also inaccessible places, deserts, forests and areas where wild animals roam freely. Inside the house place near to heat and fire ie, chimneys, or places where furnishings are very ornate, nice cloths/ornaments. Hills and mountains, high places, barns/storehouses for corn and grain. Libraries and studies, the walls of houses, the hall, playrooms, chests, drawers, safes, banks places where money is stored or kept, wallets, purses. Places off the ground, ie windows that let in a lot of light. The sea, rivers and places near ponds or waters - brooks, springs, wells, wash-houses, sea shores, marshy land. Also cellars, cisterns, bathrooms and places near water.